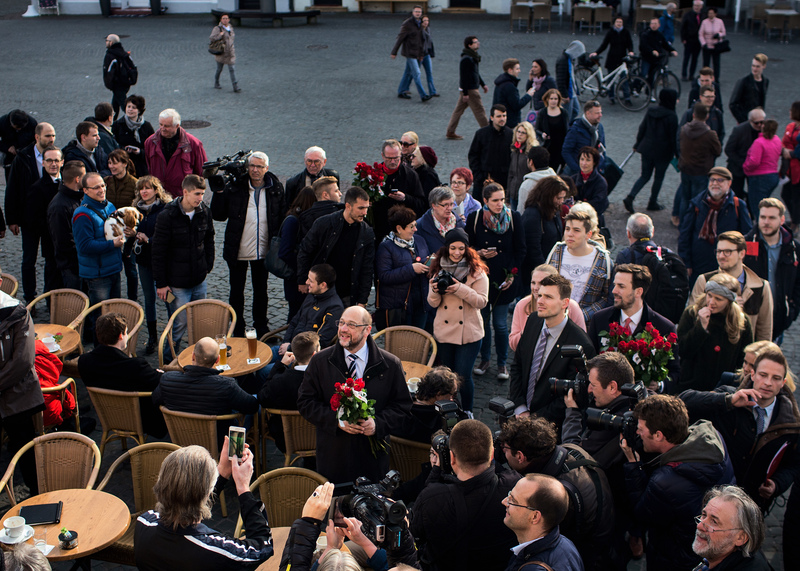 On Sunday, 26-March-2017, Saarland, Germany’s smallest state inhabited by only a million people elected their state parliament. Given the national elections scheduled for coming September, the regional elections prior to them are interpreted as important indicators. 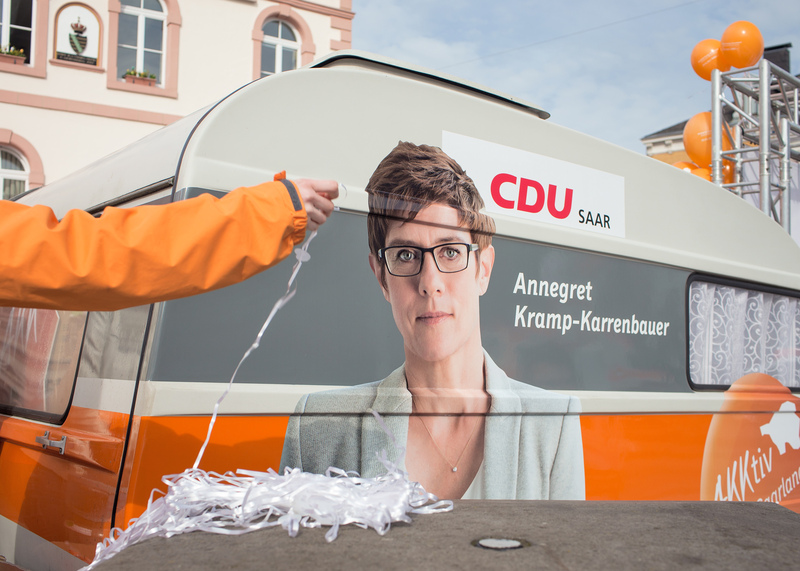 The regional election campaigns in the country’s province are joined by chancellery candidates of both major parties CDU and SPD fighting for the votes of the people and the tiny state of Saarland has set off the election season. 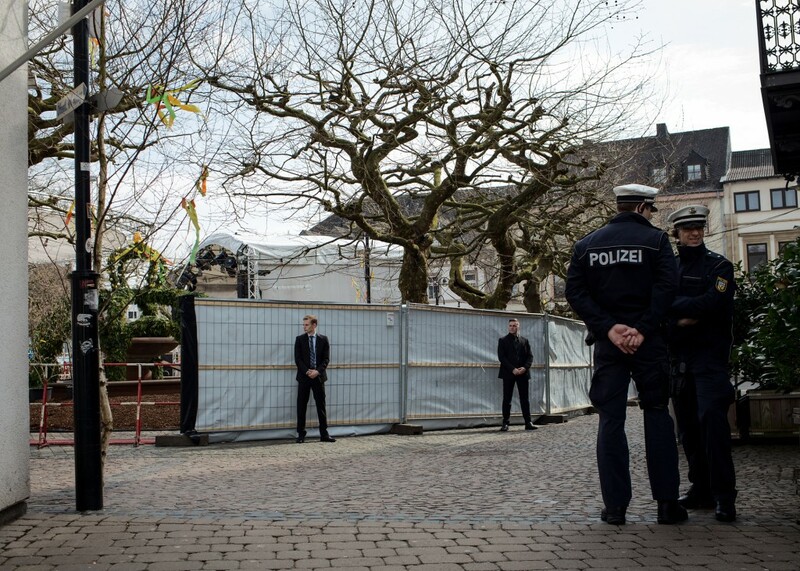 Staff and Police secure the campaign area of the German Christian Democratic Party (CDU) in the Saarland town of Sankt Wendel prior to the arrival of the Chancellor Angela Merkel. 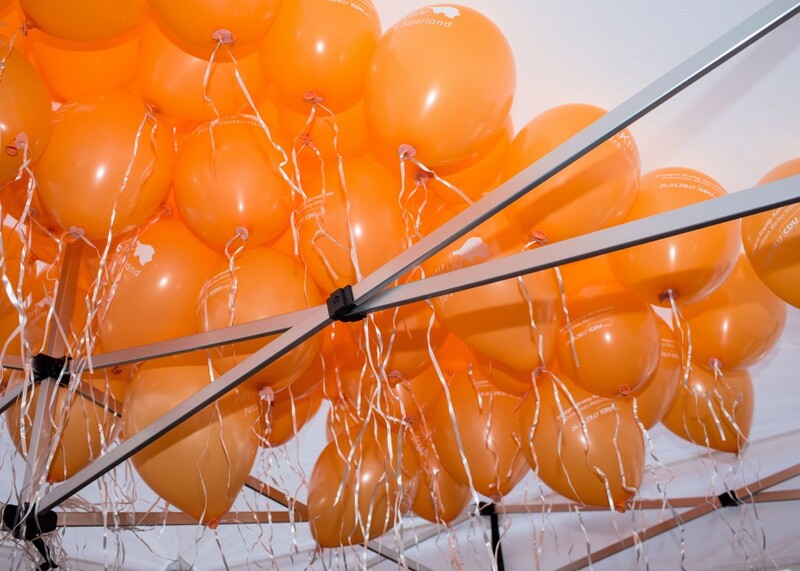 Supporters of the Christian Democratic Party (CDU) in the regional elections and current Prime Minister of the State of Saarland, Annegret Kramp-Karrenbauer blow up orange baloons, as orange is the campaign colour of CDU. 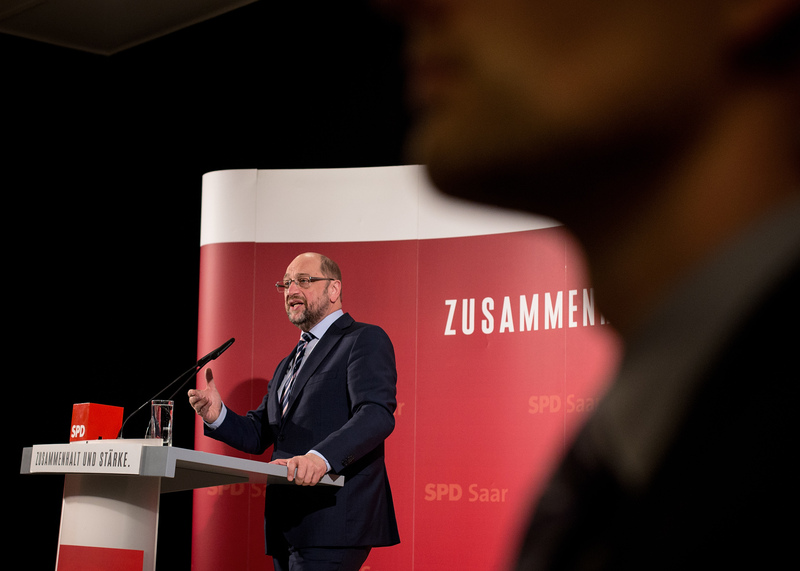 Martin Schulz, Chancellor candidate of the German Social Democratic Party (SPD) delivers a speech in Saarland’s town of Wadern in support of the local SPD candidate, Anke Rehlinger. 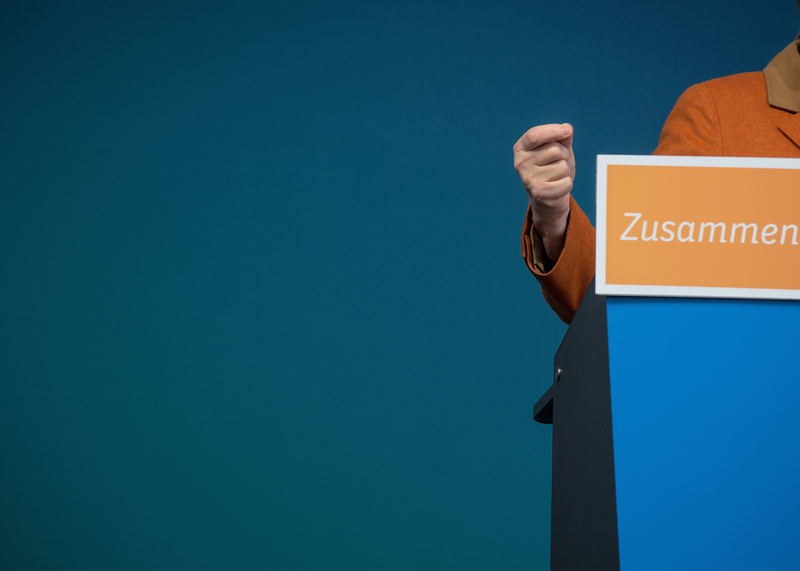 Chancellor Angela Merkel, leader of the Christian Democratic Party (CDU) gestures whilst delivering a speech in support of the local CDU in Saarland’s town of Sankt Wendel. 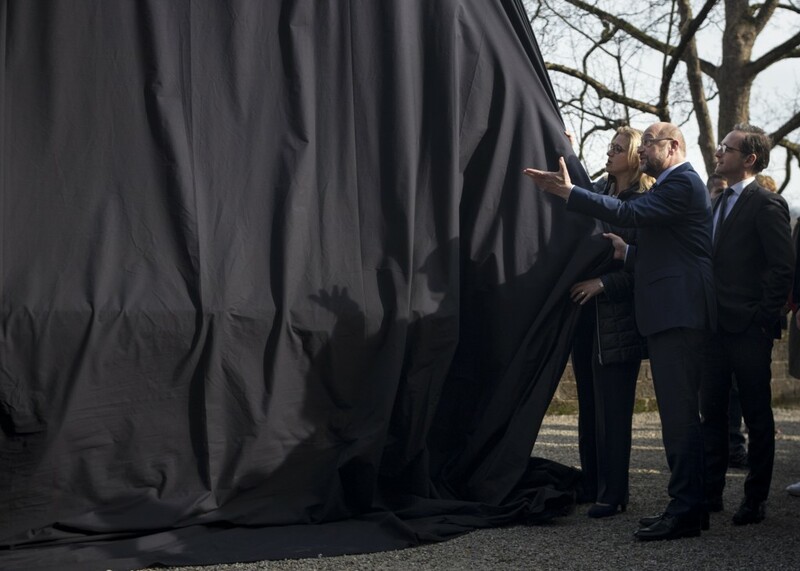 Martin Schulz, leader of the German Social Democratic Party (SPD) unveils a campaign slogan of the party together with the local top candidate of the SPD, Anke Rehlinger and their party comrade, the German Minister of Justice, Heiko Maas. 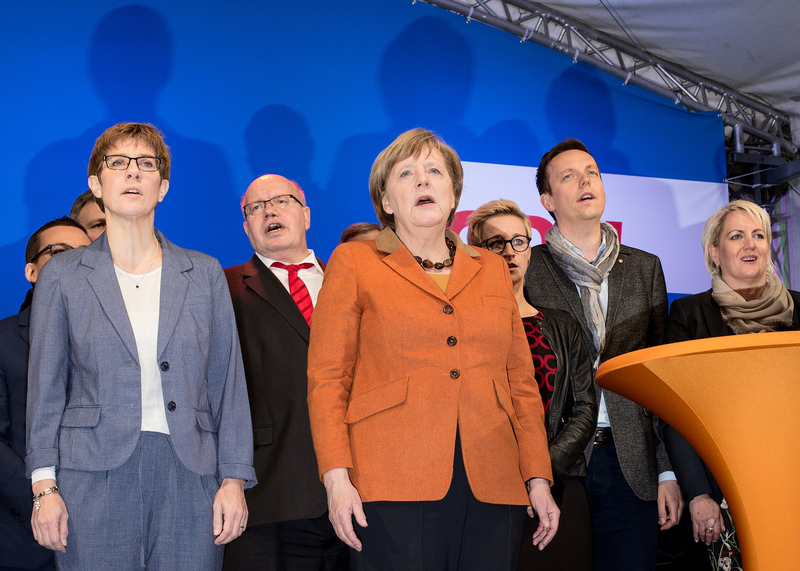 Veterans of the Christian Democratic Party (CDU) who along Chancellor Angela Merkel have joined the regional campaign in Saarland, sing the German national anthem as a conclusion of their campaign trail. 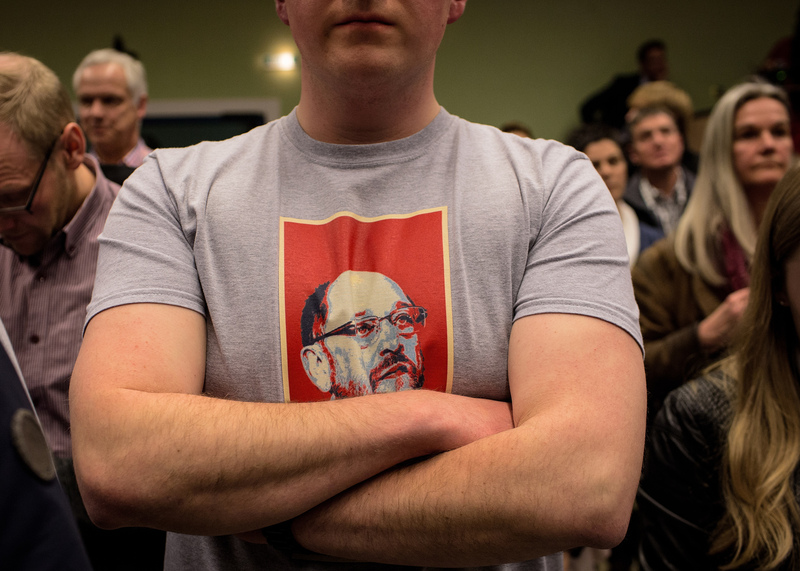 A supporter of the German Social Democratic Party (SPD) wears a T-shirt depicting a portrait of Martin Schulz, the chancellery candidate of the SPD. “A rose by any other name would smell as sweet”.